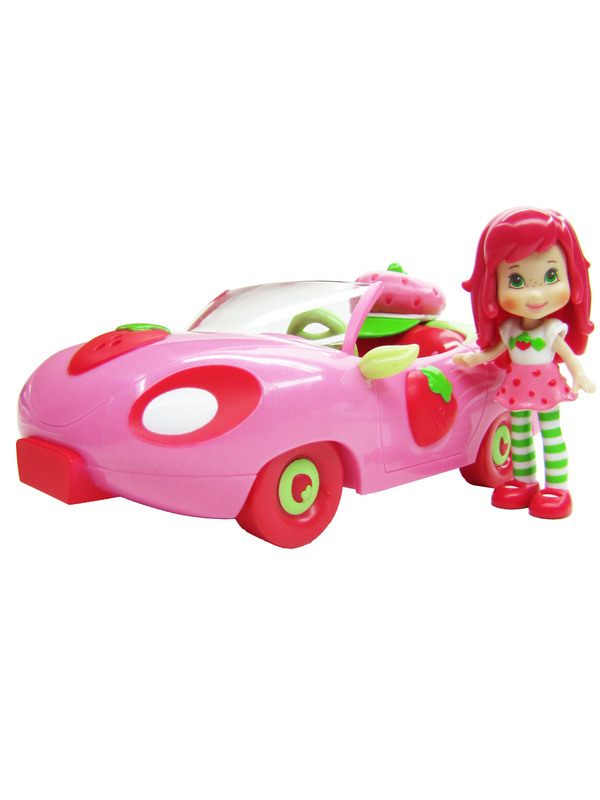 Take your Strawberry Shortcake figure (included) on all kinds of delicious drives in this pretty oh-so-pink convertible car vehicle! Pack up her dress, hat, map and suitcase accessories so she has everything she needsâ€”and then press the steering wheel for a puff of berry sweet scent to start her road trip smelling as sweet as can be! Vehicle comes with Strawberry Shortcake figure, dress, hat, map and suitcase accessories.